Fri 2 Nov, 1-2pm - Registration coming soon! The importance of photographs as historical memorabilia often goes beyond the people represented in the images to depict a period of time in our country’s history. Given many of the original cattlemen are no longer with us and the old stories of stockyards and saddles now seem such a distant memory, the Berndt Museum celebrates this life in cattle country for those few who remain. 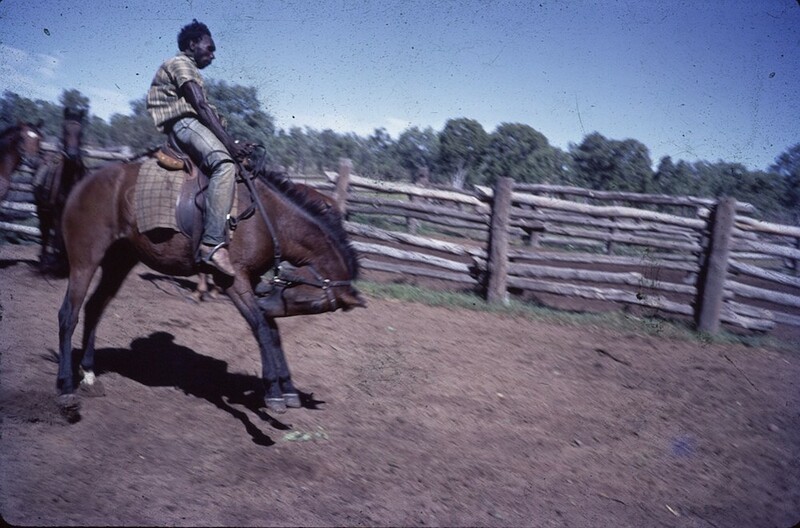 Image: Reggie riding a buck-jumper, breaking in the horses (detail). Reproduction of a colour photograph. © Colin Russ.